Today, we are proud to launch a new, modern and responsive website that better reflects our capabilities, as well as our dedication to professional communications. 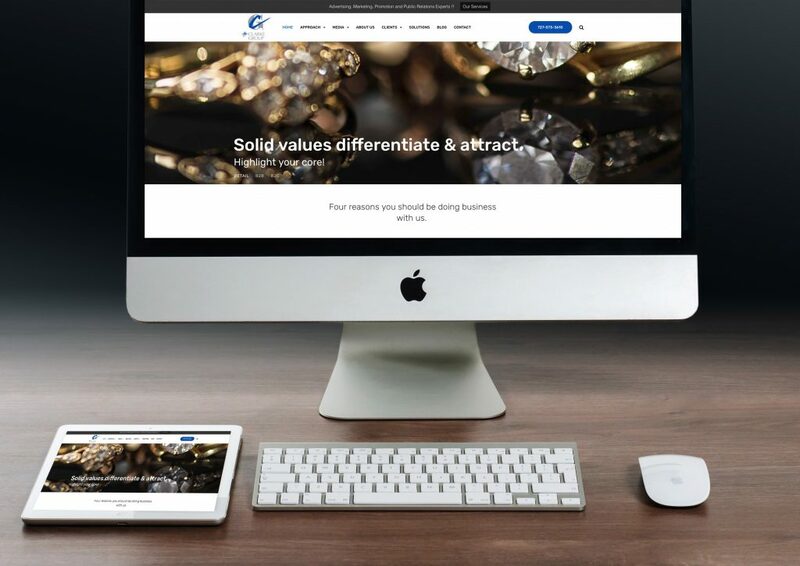 Since we focus keenly on maximizing results for our clients, it was important that our own new site encompass the type of content, techniques and strategies we recommend every day. This new design does exactly that and allows us to efficiently provide information about our services, update agency achievements, and comment on new developments affecting the advertising industry. It also delivers valuable insights for current and potential clients alike whether they are accessing it via their phone, tablet, or desktop. We hope you enjoy this new and improved version of The Clarke Group website and return often! Facebook recently modified the algorithm behind its news feed. This change dramatically affected several publishers and online advertisers. Read more here about a publisher that was forced to close. Could your organization be affected by a similar Facebook or Google update? We would love to discuss advertising options with you that are not at the mercy of Facebook or Google algorithm changes. Welcome to The Clarke Group blog. Our blog discusses trends and recent events in advertising, marketing, branding, and public relations.